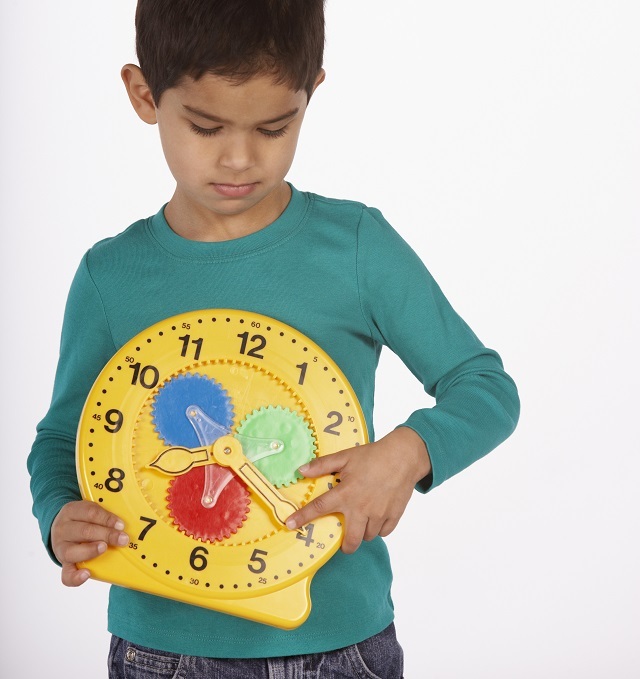 Learning to tell the time can be one of the most significant hurdles in a child's development. To make this process easier, it's worthwhile seeking out some effective ways of helping your child get to grips with this problematic concept. From fool proof teaching methods, to choosing a watch that's child-friendly, there's certainly plenty to consider. Packed with an array of handy hints and tips, this comprehensive blog post is the ideal resource and should make life much easier when it comes to teaching your child how to learn to tell the time. First and foremost, it's vital you ensure your child can count to 60. Once they've got their head around these numbers, teach your child to count in fives. This will help them understand the intervals on a clock, along with how the minute hand works. As soon as the numeric hurdles have been overcome, it's time to unleash the analogue clock! Using a clock with a large face and hands is recommended, as this will allow your young one to see the numbers and hands with ease. If you happen to have a clock that doesn't have a glass or plastic cover over the face, even better. This will give your child the opportunity to move the hands around themself. Alternatively, rather than having to dismount your own clock from the wall, why not get creative with your child and make one! A paper plate is a perfect clock face, however a piece of plain paper or card cut into a circle will work equally well. For the hands, you can either use a couple of crayons, or make them out of paper, using a split pin to attach them to the face. All that remains is to the hang the clock on the wall in a place that's easily visible and start practising telling the time with your little one. 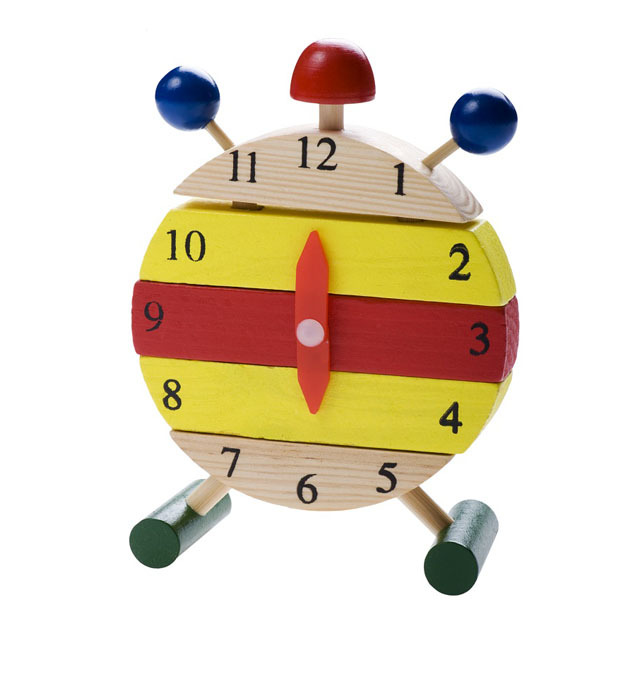 Over the past few years, a number of toy retailers have developed their own clock ranges, designed solely for the purpose of helping children learn to tell the time. Available in a variety of different styles and colours, you're sure find one to suit your child's needs and preferences. Given the digitally savvy nature of many young children nowadays, there's also a wide range of apps designed to help your child master the art of telling the time. Interactive Telling Time is just one example and is free to download from both Google Play and Apple's App Store. 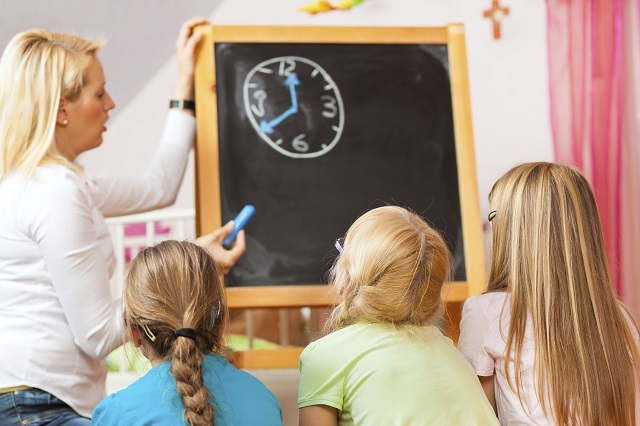 When you're confident your child has a good understanding of time and how to read it, have a go at quizzing them. It's important to make sure they have thoroughly grasped the concept beforehand, as doing so too early could result in your child becoming disheartened. We also suggest purposely making mistakes when telling the time aloud yourself, as this will give your child the opportunity to correct you. 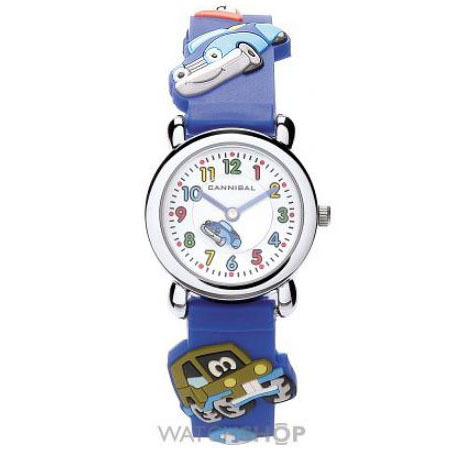 Once your child is around the age of 5, there's no better way to keep their time telling abilities in tip top form than by buying them their very own wristwatch. 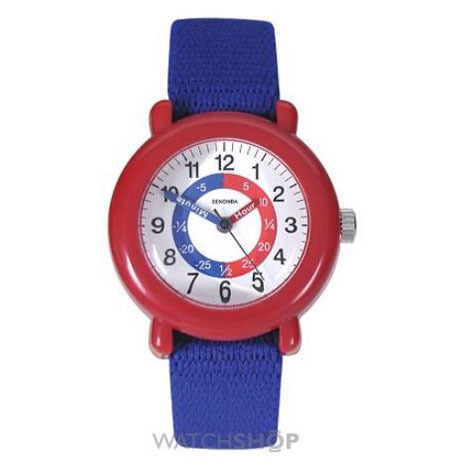 Bright, colourful and easy to read, brands such as Cannibal, Sekonda and Flik Flak each have a huge selection of children's watches. All in all, not only are you providing your child with a valuable life skill by teaching them to tell the time, it's also the perfect opportunity to spend some quality time together, getting creative and having fun!